Here are the two stocks that made tonight’s High Tight Flag screen. $DEXO consolidated after more than doubling in less than a month. 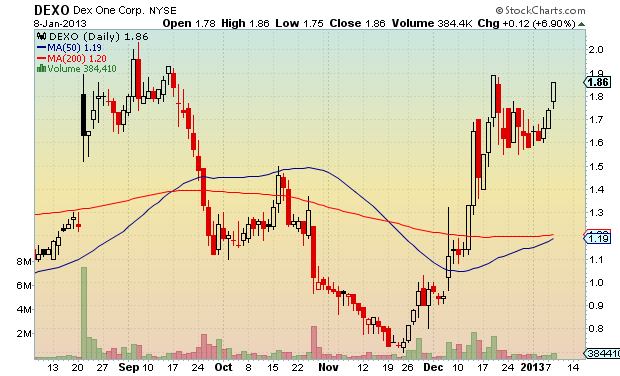 Trading at $1.90 or above will mean the stock has broken out from its high tight flag. 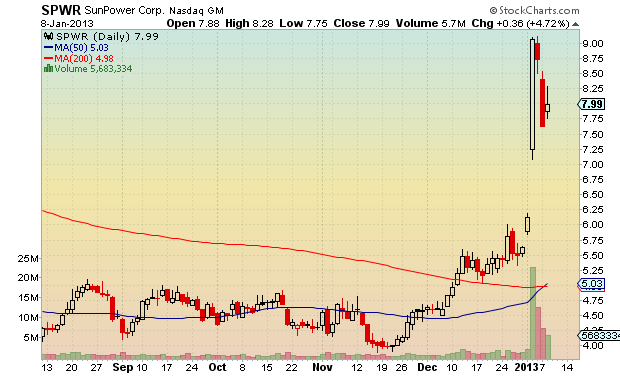 $SPWR looks to be consolidating. The technical breakout point for this is $9.08, but there is a lot of money to be made trading this one up to the breakout poit.